1. 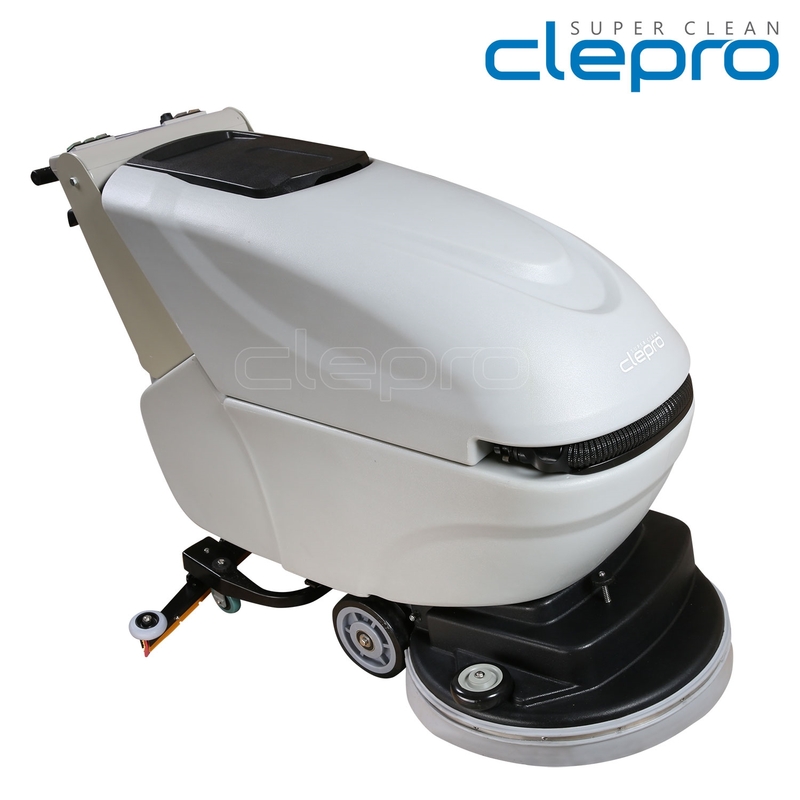 It can clean 1200 square meters - 2800 square meters per hour. 2. Smooth driving, the minimum turning radius of 1.5 meters, gradeability 30 degrees. 3. 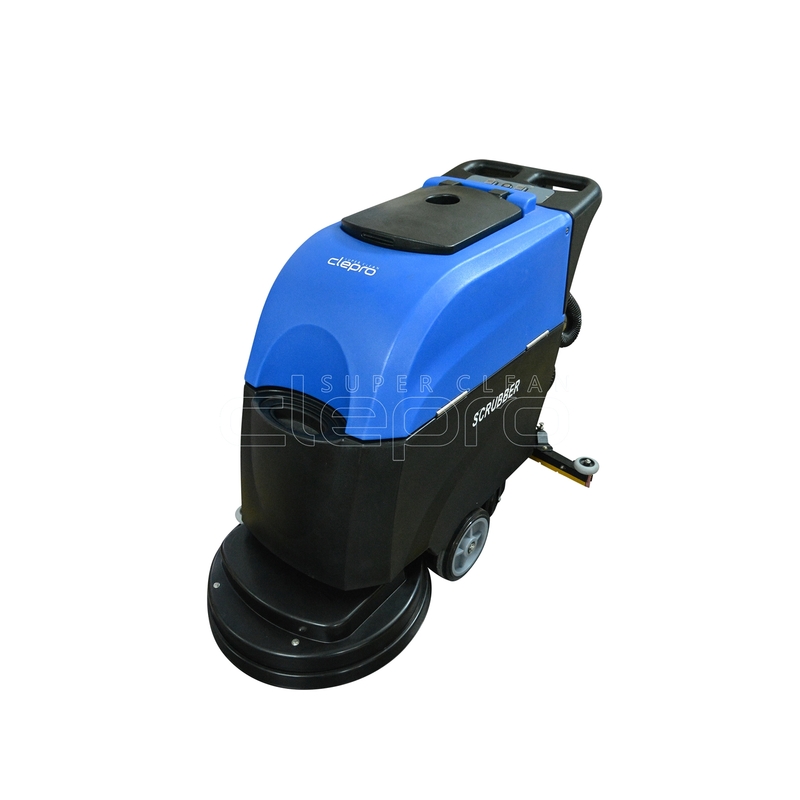 Equipped with three 600W AMETEK suction motors, low noise, long service life. 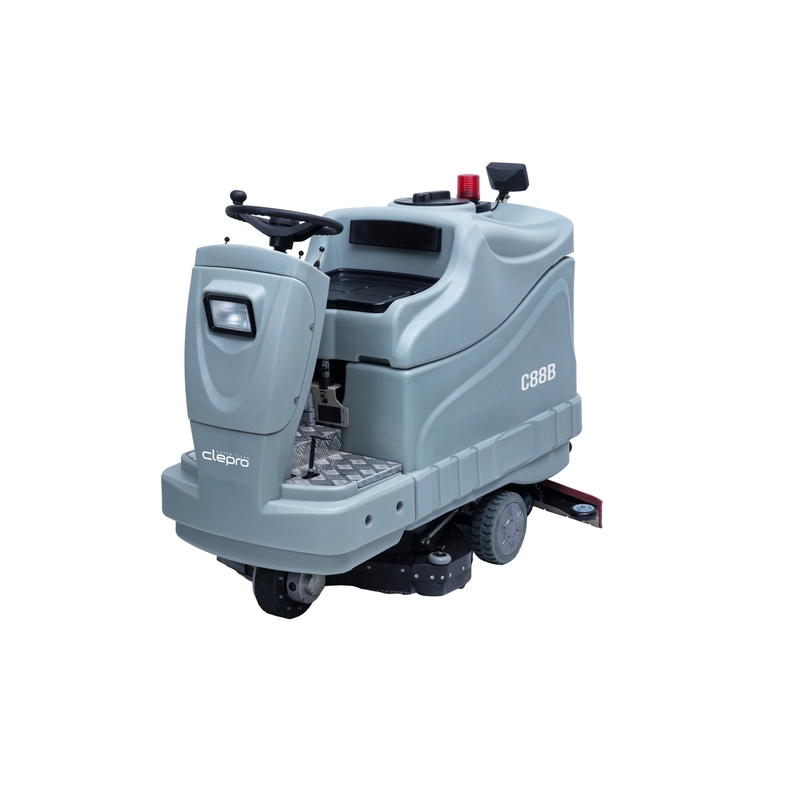 Super-clean ride-on scrubber dryer is an indispensable ideal ground-cleaning machine, which is with flexible operation, bilateral brushes design and high cleaning efficiency. It applies to municipal building site, square, super markets, factories, workshop and a variety of public places. 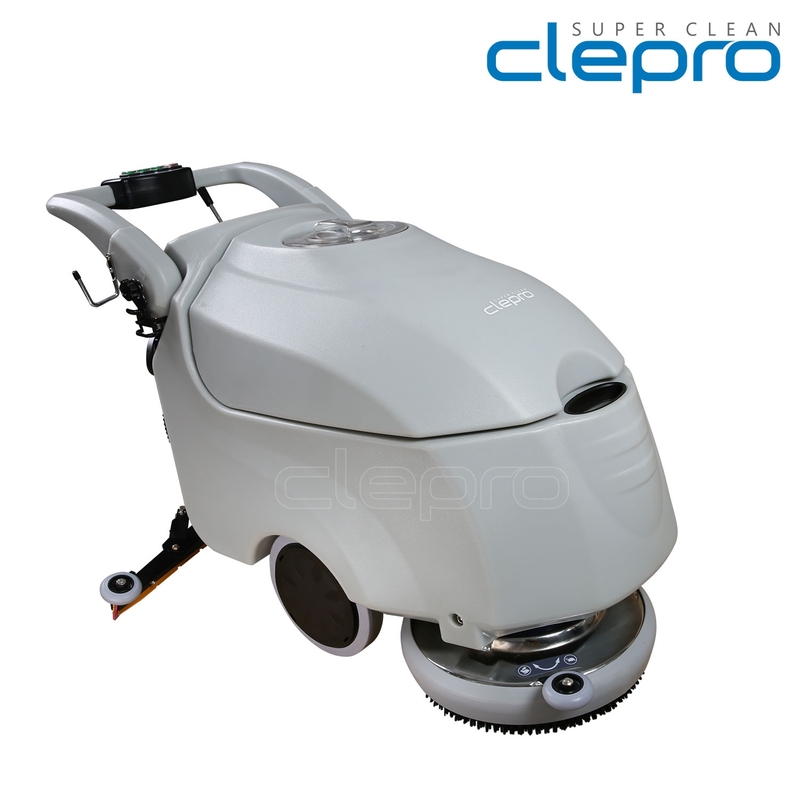 1 - Compact design, imtagrated shell and handle, firm structure. 2 - Operation panel at a glance, convenient control simple operation. 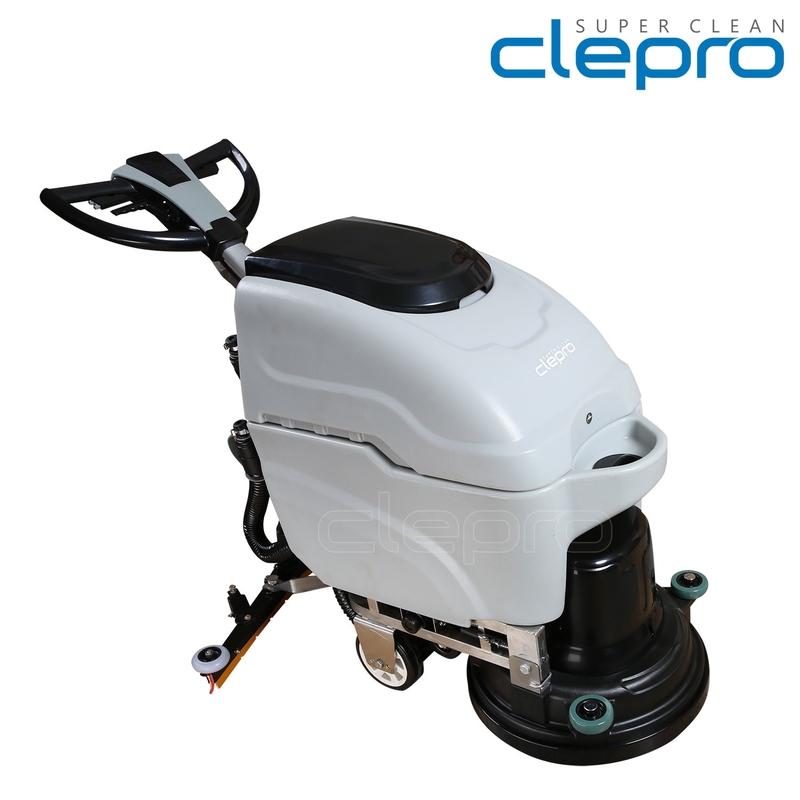 3 - Sewage equips with full water device, protect suction motor. 4 - Choose brand batteries, chargers, long working hours. 5 - Clear water tank, sewage tank capacity is big, ensure to work long hours. 6 - Curved water squeegee, water absorption is more effective. 7 - Brush plate equipped with the protective cover to prevent the sewage from overflowing. The control panel is clear and easy to operate. Compact as it is, it has a large water tank capacity. Mechanical parameters are diaplayed at any time, letting you be clear of the operational situation of the machine. With the curved water scraper, it makes better water sucking. The brushing disk is fited with a shield, preventing the sewage from getting out. 1, The water tank can be splited,transport more convenient. 2. 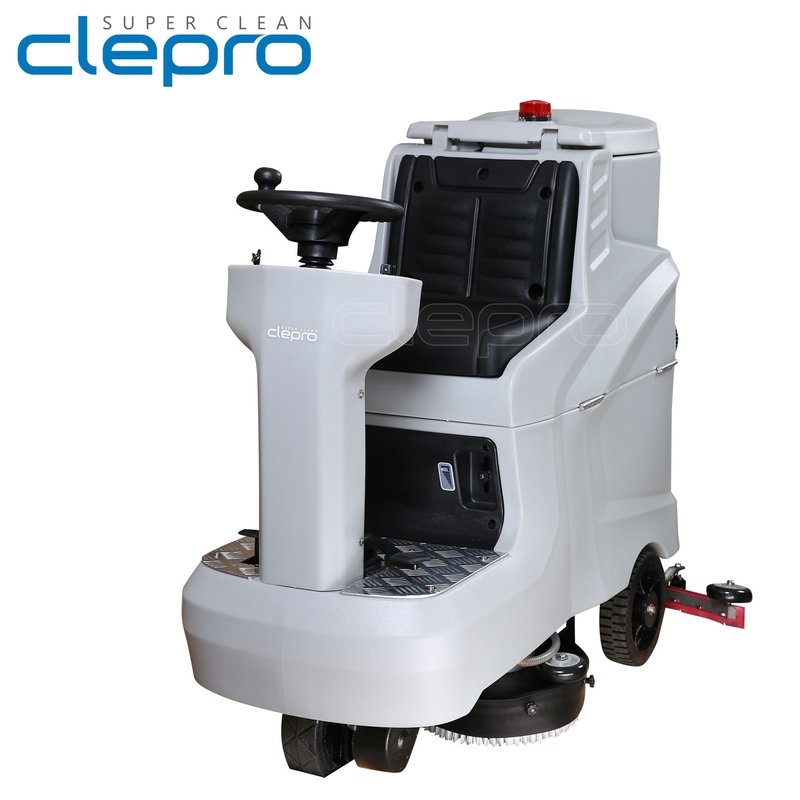 With the little front wheel before, machine walking more convenient! 3. The adjustable height handle,convenient for different population to use. ​The control panel is clear and easy to operate. Compact as it is, it has a large water tank capacity. Mechanical parameters are diaplayed at any time, letting you be clear of the operational situation of the machine. With the curved water scraper, it makes better water sucking. The brushing disk is fited with a shield, preventing the sewage from getting out. 1. Tilting transmission mechanism design! 2. Sewage water level restrict the circuit board, it will automatically power-off when the water full. 3. The water steak increase the small wheel which can adjust the height! Drive mechanism design makes detergent-changing more convenient. May be after thewater regulator arc Pa,water sucking more efficiently. All kinds of switches place on the operating handle so that the manipulation easier.Joystick can be sracked,split-style water tank design, transport more convenient. 1. Water tank sealed by O-ring ,the suction more than 14.5kpa. language . And whcih can reflect the use condition. 3. Maximum grade ability is 30 degrees, maximum parking slope is 30 degrees. 1. Import strip, Good quality guarantee. 2. The adjustable height handle, convenient for different population to use. ​3. Internal unique aluminum alloy structure, more solid fuselage! The control panel is clear and easy to operate.Compact as it is,it has a large water tank capacity. Mechanical parameters are displayed at any time,letting you be clear of the operational situation of the machine. With the curved water scraper,it makes better water sucking. The brushing disk is fitted with a shield, preventing the sewage from getting out. 3. Internal unique aluminum alloy structure, more solid fuselage!